Not too long ago, we went all the way to the Mediterraneans..err Las Pinas to experience a Mediterranean themed buffet. 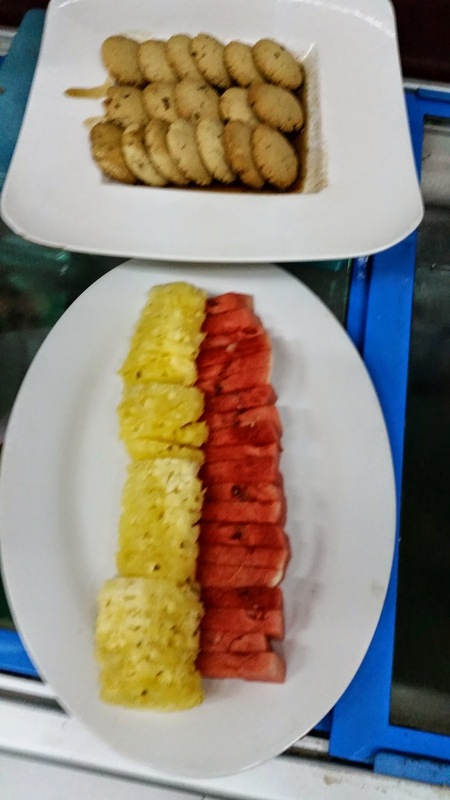 To my surprise, the servers and cooks were actually students of SISFU. SIS obviously stands for Southville International School if you are a Southie and I will let you guess what FU stands for. Umm no, it's not what you think. It stands for Foreign Universities as SISFU as a whole stands for Southville International School affiliated with Foreign Universities. The servers that night were as young as 17 years old as I found out they did it as freshmen. 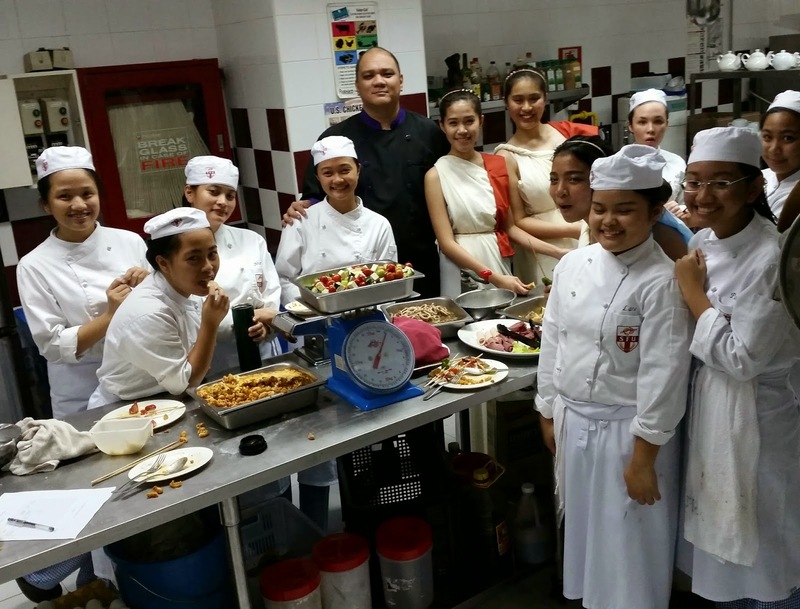 I actually found that as a cool approach to training culinary students so they know what to do when they graduate. We also got to talk with the big bosses of the school. It obviously meant that we had to observe EOP (English Only Polic) and it wasn't long before I got a nose bleed as we all speaking in dollars. 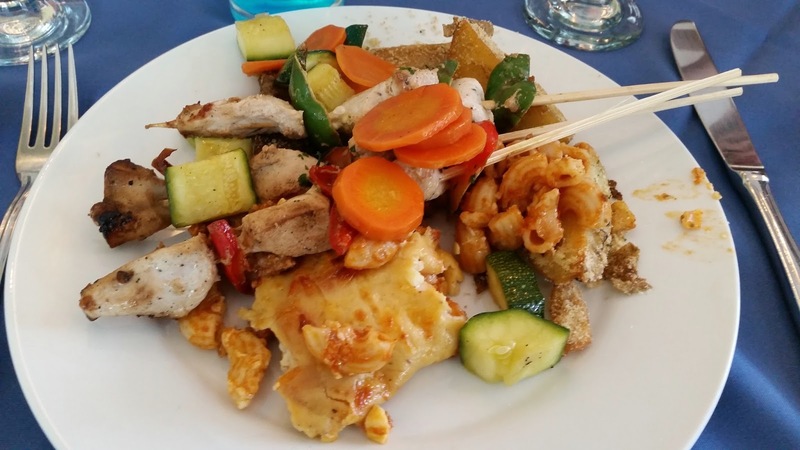 The Mediterranean buffet consisted of wonderful main course dishes such as Cuttlefish in Wine, Yogurt Chicken, Greek Meatballs, Buttered Vegetables, Greek Lemon Potatoes and Greek Pasta topped with Bechamel. I actually liked the Yogurt Chicken the best of them all as I took numerous sticks while we were interviewing the school's top officials. They were obviously humbled by the presence of the Greek God of Pigging Out, me. No buffet is complete without desserts and the choices were fruits, pastries, cakes and Creme Caramel. 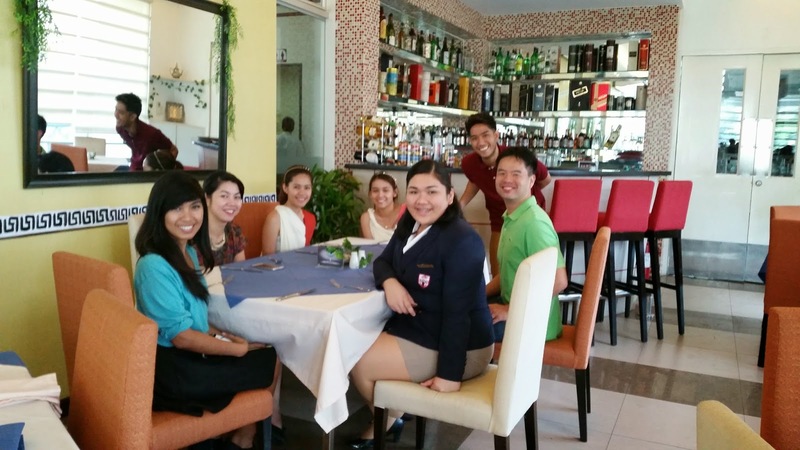 The school's top officials told us that a majority of the graduates ended up working abroad. It actually made me want to send my kids here for college until I remembered that I don't have kids. The Mediterranean theme is actually a part of a week long International buffet theme where each day would have a different theme. The students actually wore Greek costumes and we found out they were actually made up of table cloth. I even asked if there was a prize for creativity because they deserve cookies for their costumes. We had a wonderful time and we are looking forward to coming back and hopefully tour the school this time as we were unable to because of our full tummies that time. 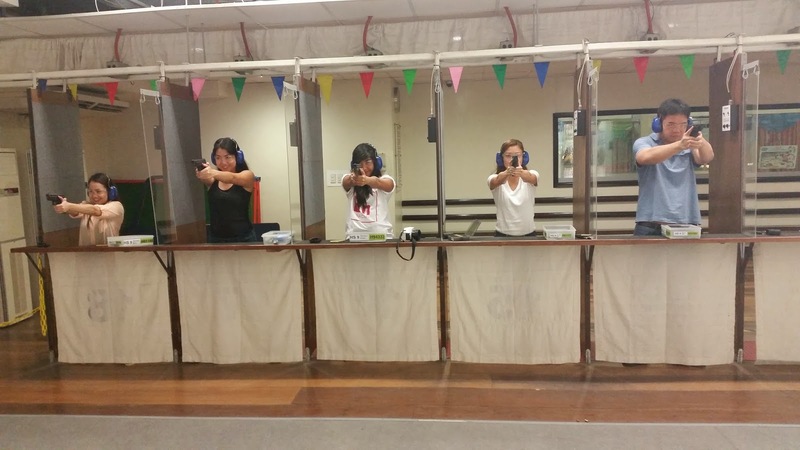 It was not a normal Wednesday as me, Apple, Issa, Jenn and Kira headed over to Stronghand Shooting Range for a little target shooting practice. It was a fun couple of hours as it began with a classroom session with this officer teaching us the basics. 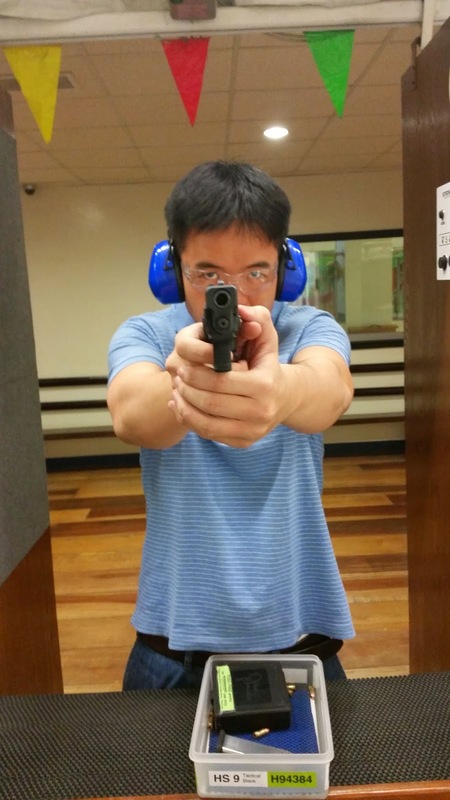 He told us to believe every gun is loaded, don't point the gun at anything you don't intend to shoot and to keep your finger off the trigger until you are ready to shoot. All of this was obviously for the safety of the people in the shooting range. 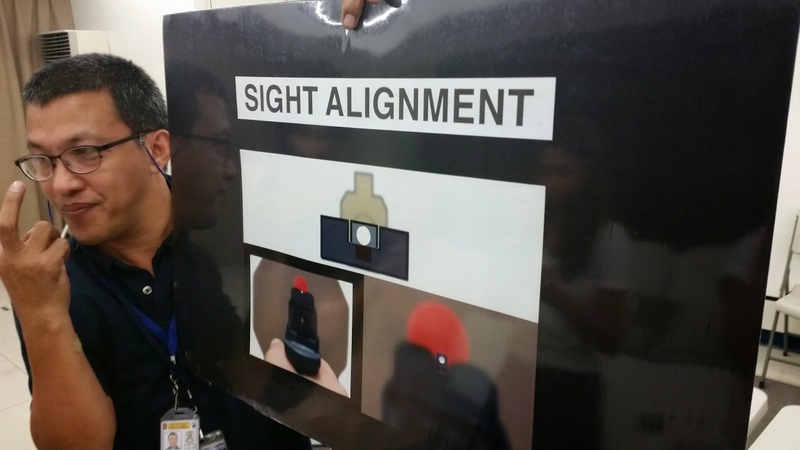 I liked how the officers in the shooting range make sure you learn how to shoot properly. They don't accept tips either. Before we got to shoot, we were taken on a short tour at the facilities like we were tourists. 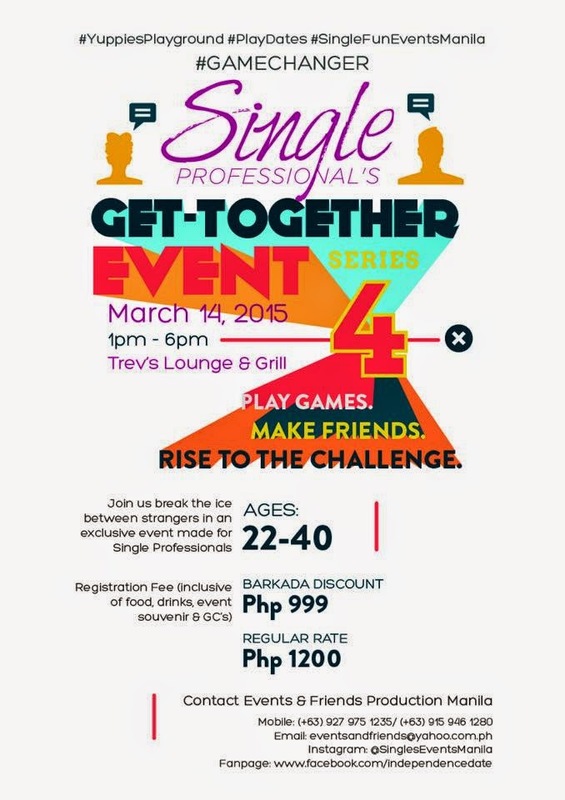 There's a coffee shop, seminar room, 180 degree coffee window and of course the comfort room. I mean, how could anyone forget that? Kidding aside, I love how the place promotes a family-friendly and toxic free environment. There's definitely a good reason a lot of families go here every Sundays. Hey guess what? After several tries, I was finally able to hit the Bull's Eye! There's just one tiny problem though. 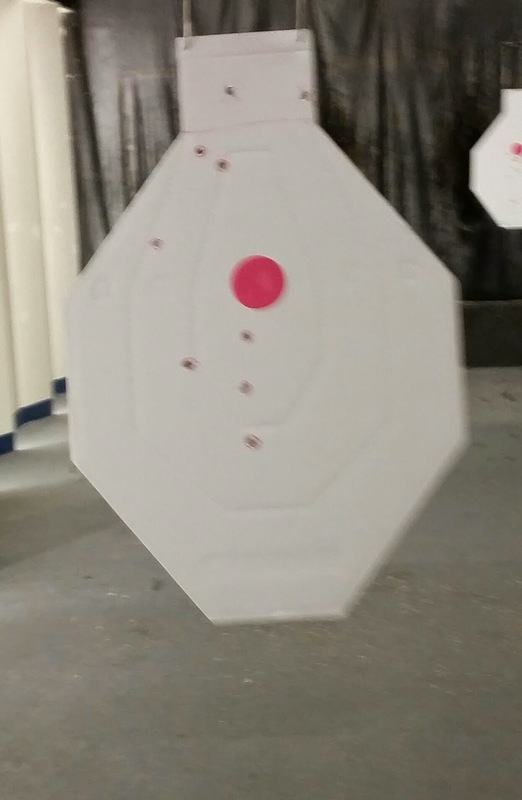 It was the bull's eye of the target of another shooter. Whoa, I know what you're thinking. You're like "Ohh what the f*ck Mr. Aldous ate the World can't hit the bull's eye just like in bed". Well, it is not what it looks like. Besides, I'm a nice guy and I don't have a grudge against anybody. I imagined that the target is a young fellow who stole a woman's purse because he is lacking a few dollars for his tuition fee. However, we all know he still has a promising future ahead of him so why would I want to shoot him several times in the heart, right? 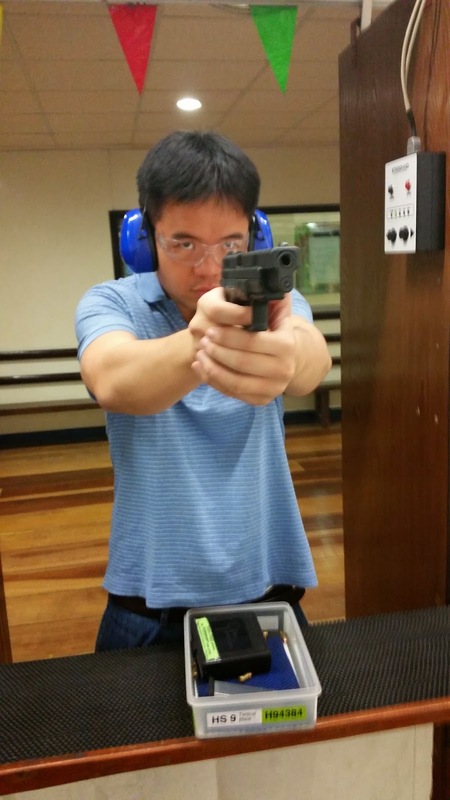 I shot him once in the nose, once in the neck, another in the stomach and another in the balls. I'm pretty sure he's still alive after that one. The Family Bundle of Chicken Charlie is a tummy-filling meal for the entire family. It contains 4 pieces of chicken, 4 wings, 4 sides of your choices, 4 cups of rice and 4 drinks at only P619. The good thing about Chicken Charlie chicken is they use 100% natural oil, they are always freshly prepared, they are non-greasy and its got that extraordinary taste that you will always crave for. 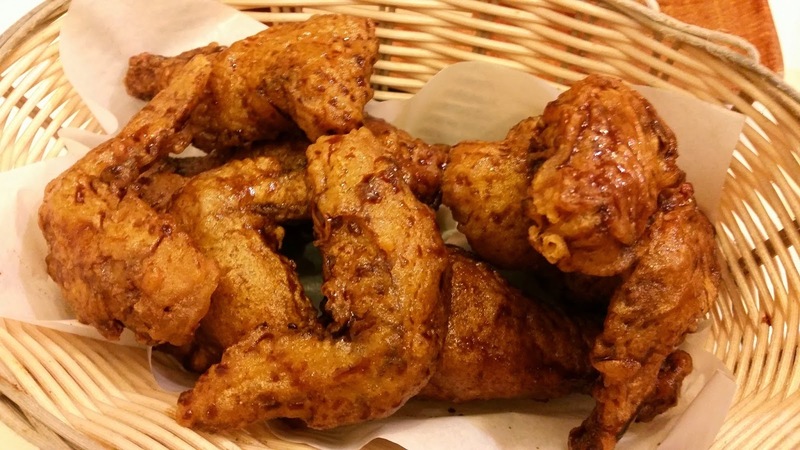 It is great to know these facts before you dive in and eat these crunchy chicken pieces. For the sides, we had french fries, salad, dynamite cheese sticks and soup. The manager told us the french fries are freshly caught which puzzled me since it isn't an animal. It turns out she means they have no preservatives. I can only imagine how healthy it is to eat at Chicken Charlie. The cheese sticks are not that spicy like I expected which is a good thing for me. The soup is actually good since I ended up having it to myself and that didn't go well with my companions for that night. 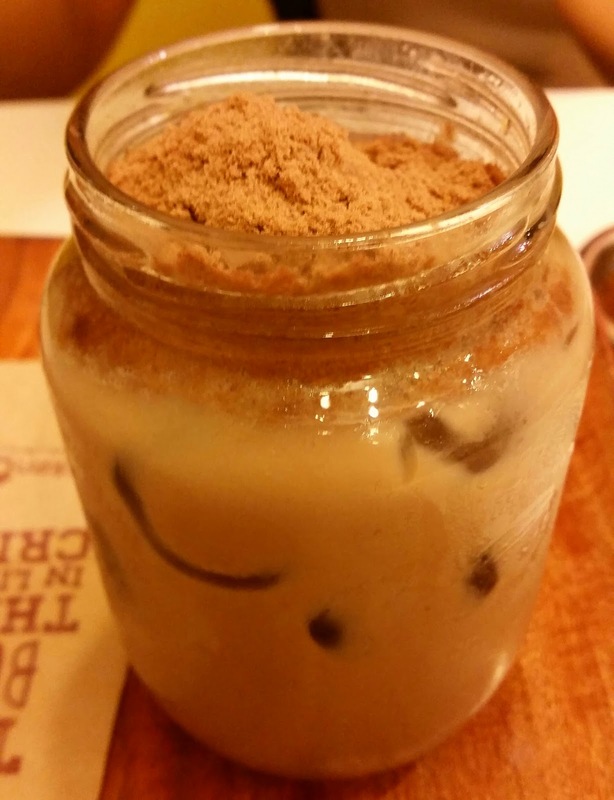 The Milo Dino (P75) is such a heavenly treat. Me and Cates are both health conscious so we planned on sharing one but that didn't happen as we ended up having one each. The folks working near the area are lucky since they could grab this drink anytime. Of course, that's not overlooking the awesome chicken of Chicken Charlie. The food here is something I would come back for over and over again. I was honored to be invited along with other bloggers to celebrate Krispy Kreme's monumental 1000th worldwide store. It was a fun night filled with games and surprises as we were enjoyed broadcasting on our social media the hashtag #KrispyKremeat1000. 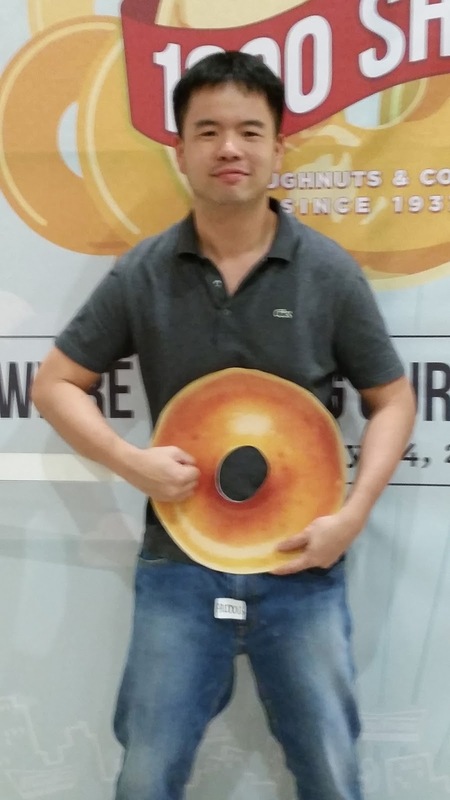 As you see, the closest thing I can get to abs is donut abs. Congratulations, Krispy Kreme! Here's to another 1000. Hope I can be there on your 2000th store. Aldous ate the World is proud to be a media sponsor of tomorrow's Children's Fair organized by the Phil Lambda Delta Sorority of the UP College of Medicine. 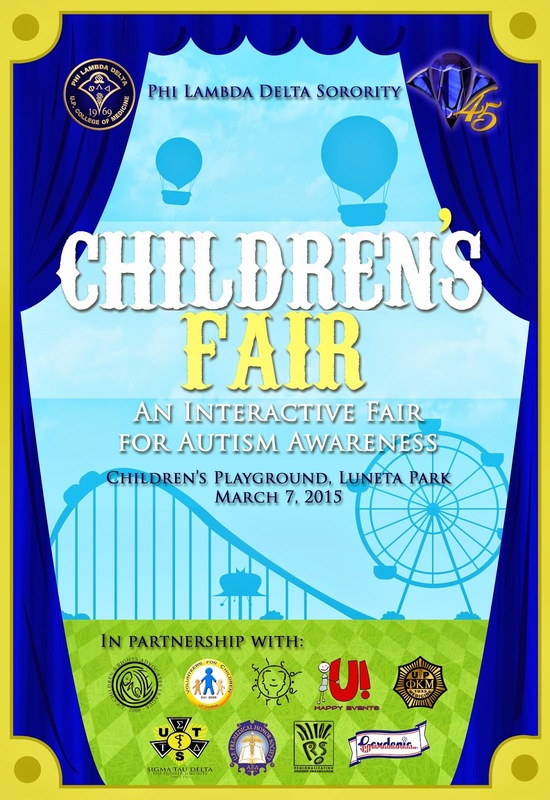 Come and join the activities for the awareness of kids with autism.